California’s historic drought means tight water supplies for everyone this year. 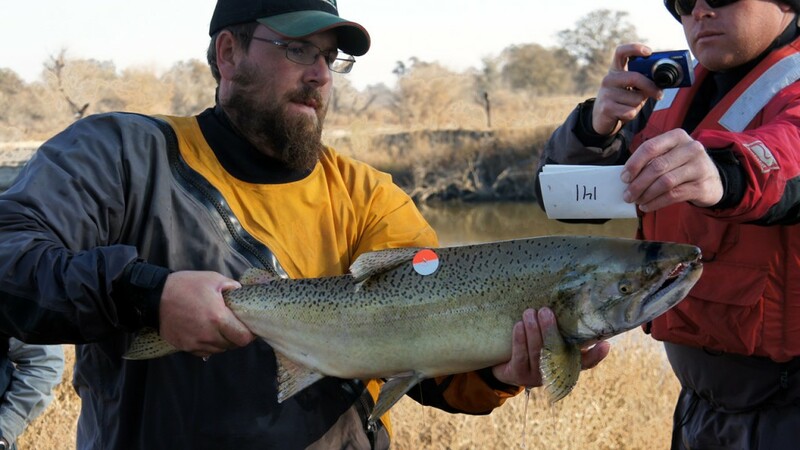 It’s putting environmental restoration projects in the spotlight, especially the effort to bring salmon back to the state’s second longest river, the San Joaquin River. Republican House Speaker John Boehner singled out the project when he visited California last month. The House recently passed a bill that would end the restoration. “How you can favor fish over people is something people in my part of the world would never understand,” Boehner said. 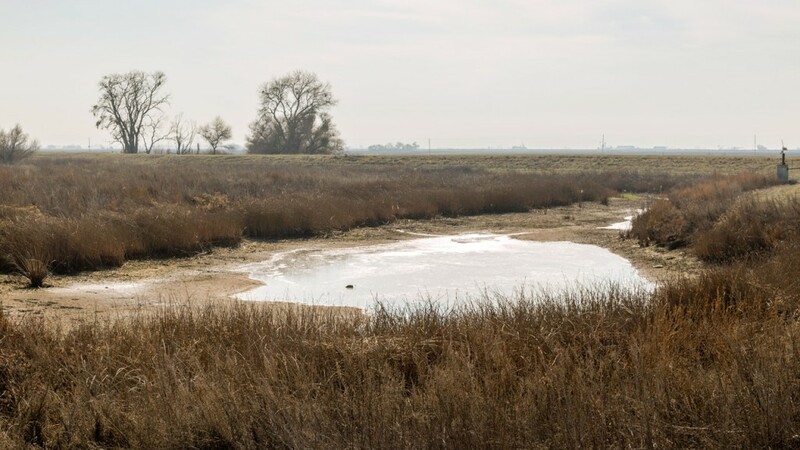 “What you’re looking at is the main channel of the river and there’s no water in it,” said Monty Schmitt of the Natural Resources Defense Council, looking at a dusty riverbed outside of Los Banos in the Central Valley. The drought is one reason this stretch isn’t full of water, but it’s not the only reason. The San Joaquin River runs from the west slope of the Sierra Nevada down to San Francisco Bay. In the 1940s, a new dam near Fresno corralled the river to irrigate a million acres of Central Valley farmland. Friant Dam diverted so much water that large sections of the river – up to 60 miles – went completely dry in most years. It was the end of the state’s second-largest salmon run, at least until recently. NRDC sued the federal government and in 2006, signed a settlement agreement with farmers and the federal government that launched the return of Chinook salmon to the river. 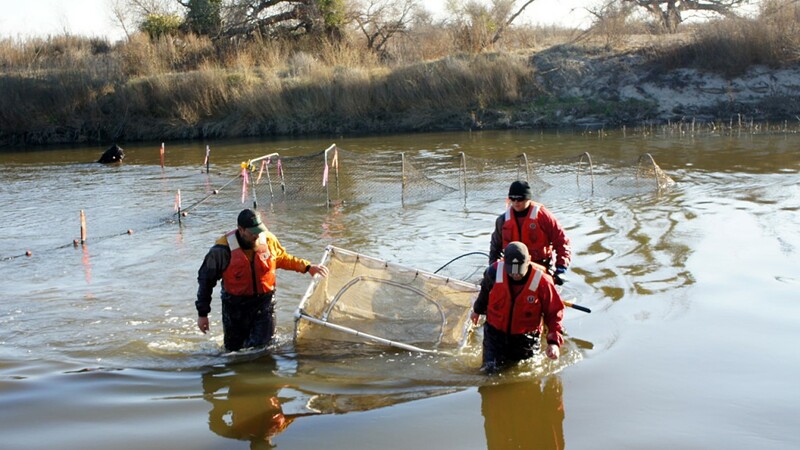 In December, a state and federal restoration team pulled a Chinook salmon out of a net they had stretched across the lower San Joaquin, where downstream tributaries get the river flowing again. “We take measurements on the length of the fish and we check them to see the ripeness for the males and females,” said Matt Bigelow of California’s Department of Fish and Wildlife, examining a large female Chinook with a smattering of black spots. Ripeness – meaning eggs and sperm. These salmon were trying to get upstream to reproduce and were getting some help from a kind of salmon shuttle service. 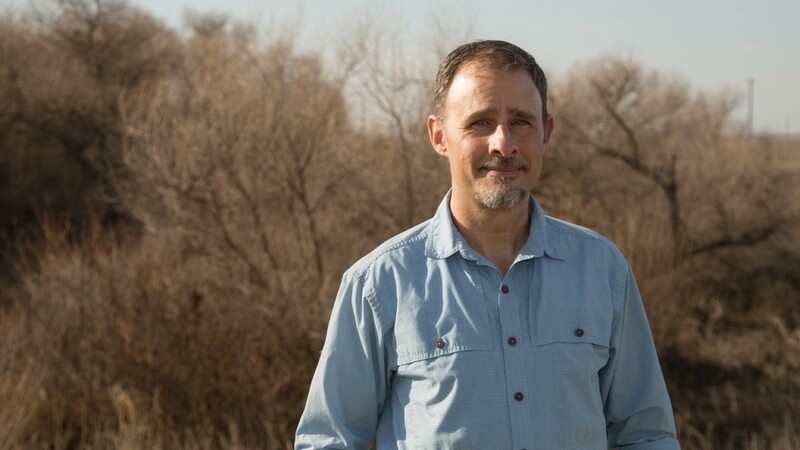 Bigelow and his team loaded them in a tanker truck that would haul them upstream, past the dry part of the river, and release them near Friant Dam. “Obviously what we’re doing right here, this is quite a bit of intervention to get fish up into suitable spawning habitat,” said Gerald Hatler, the restoration program manager with California’s Department of Fish and Wildlife. Returning salmon to the San Joaquin River means moving them fish-by-fish right now, because the river isn’t quite ready for water to start flowing. Crews need to screen off water pipes and intakes and put in drains to prevent farmland from flooding. Under the restoration plan, the river won’t start flowing again until more of those projects are done, and they’re behind schedule. More than 300 adult salmon were moved upstream during the winter and their young recently hatched. Without river flows, the young won’t be able to reach the ocean on their own, at least not without a miracle. “If Mother Nature gives us a lot of water in the spring of 2014, we may see a large number of those juveniles make their way out,” Hatler said in December. The chances of that happening are slim to none at this point, so the restoration team is planning to move the young salmon downstream in trucks, just like their parents. “The reality is it’s not going according to plan,” said Cannon Michael of Bowles Farming Company. 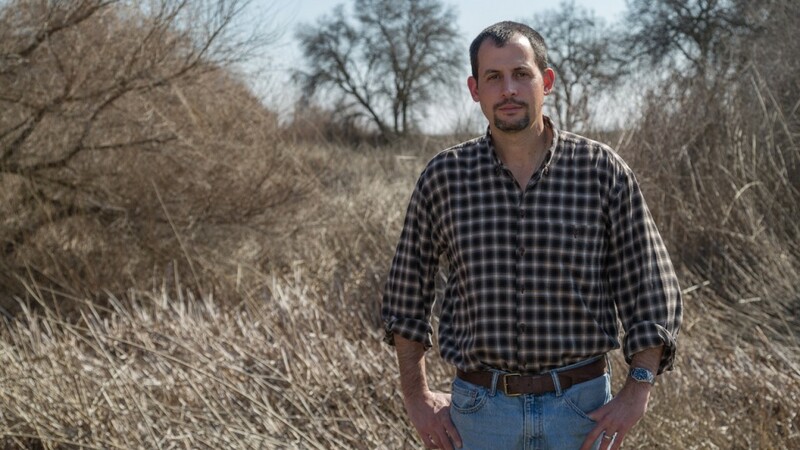 He farms 10,000 acres just outside Los Banos and an old fork of the San Joaquin runs right through it. It’s choked with dry vegetation, but it’s on the list for restoration. “With the progress they’re making in terms of physical projects, this is way down the road,” he said. Michael says there’s been a lot of frustration. Farmers agreed to give up about 18 percent of their water under the restoration, in exchange for new water supply projects and barriers to keep the river from encroaching onto their land. The first phase of the project is expected to cost $500 million, with the bulk of it coming from Congress. But with the economic downturn, appropriations have been slow. Still, after eight years of work, Michael doesn’t want to see the project in the political cross hairs. 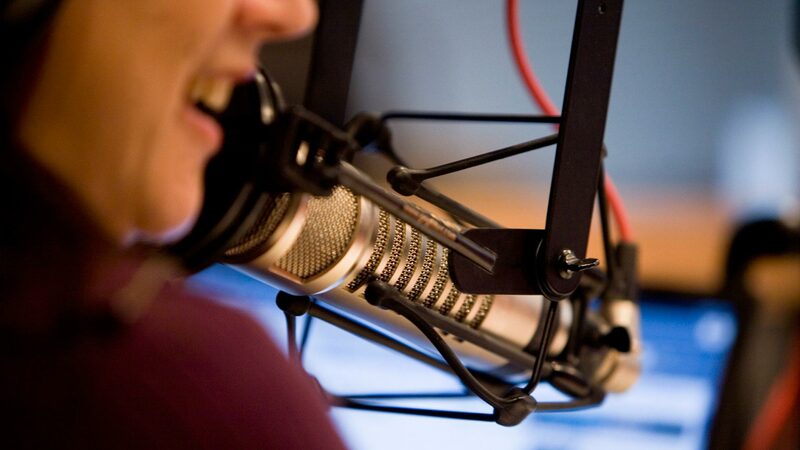 “Let’s find a way to get people back on board with it instead of it being a divisive thing where the GOP maybe is using it as a tool,” Michael said. Monty Schmitt of the Natural Resources Defense Council agrees. Schmitt said he’s looking at a drought bill from Senator Dianne Feinstein that could help some of the restoration projects get rolling. Even if that happens, the river wouldn’t start flowing this year. Federal officials have said the flows will be cut because of the extreme drought.